Amalfi Coast – this is where dreams are made. 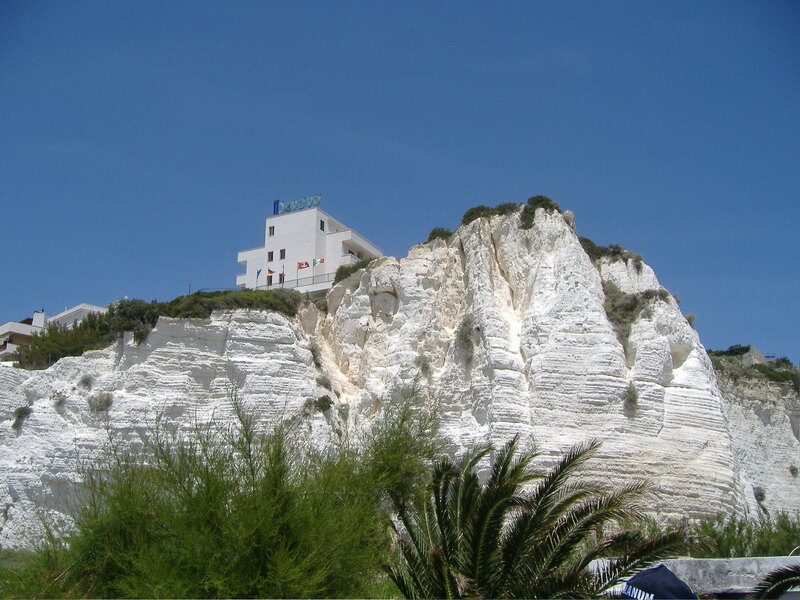 Is a stretch of coastline on the southern coast of the Sorrentine Peninsula in Southern Italy. The Amalfi coast consists of many beautiful little townships and villages. I rented an apartment here for 2 weeks and really experienced the area, especially the beaches. Vieste – Is a glorious marine resort on the southeast Adriatic coast of Italy. It appeared to be a very popular holiday destination for Italians as we felt as though we were the only English-speaking visitors. We took a jet boat ride out to the caves which were very beautiful although we were concerned about the lack of safety precautions by the jet boat company. Venice – one of my favourite major cities in Italy. I have visited this fabulous city many times and each time I discover more and I like it more. Trulli – Alberobello. 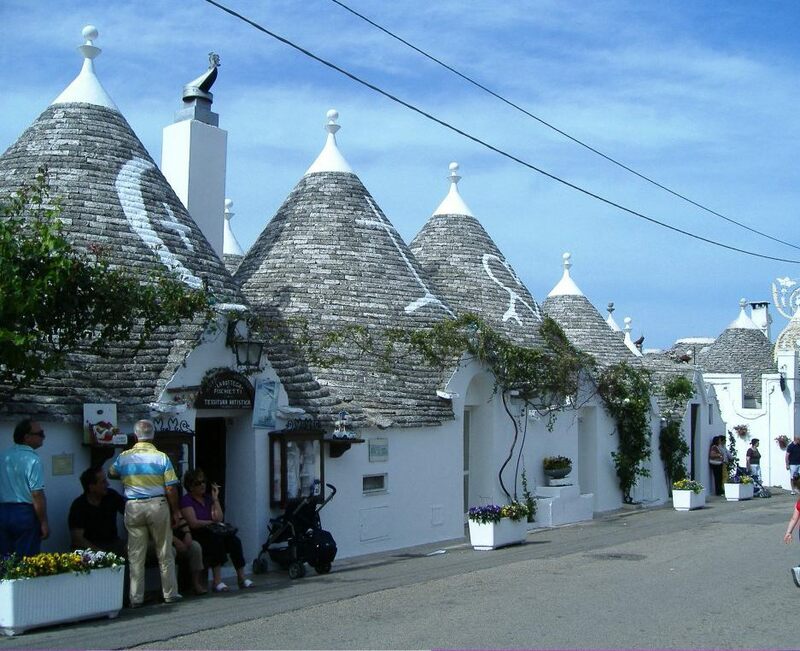 These are traditional Apulian dry stone huts with a conical roof from the 19th century. Pievebovigliana in Marche is a commune within the Monti Sibillini National park. I rented a house here for a month. 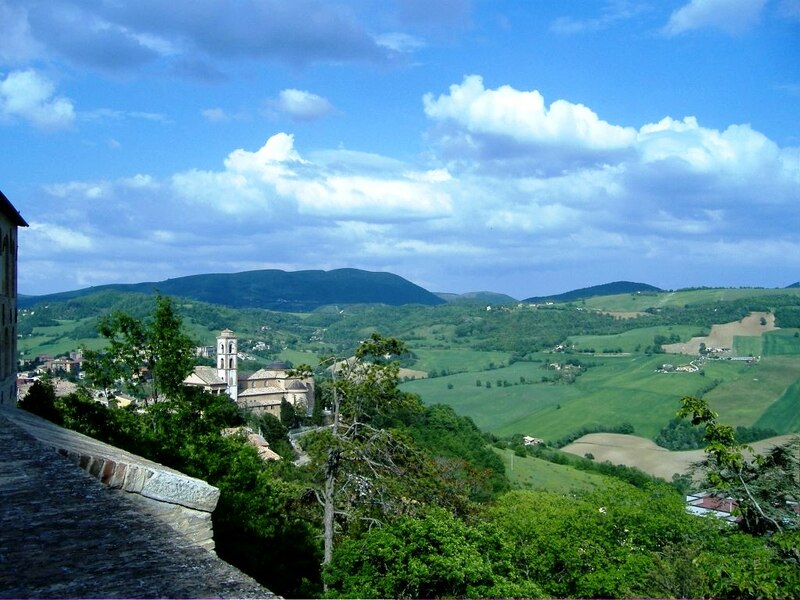 Camerino – An impressive small hill town on the border between Marche and Umbria. 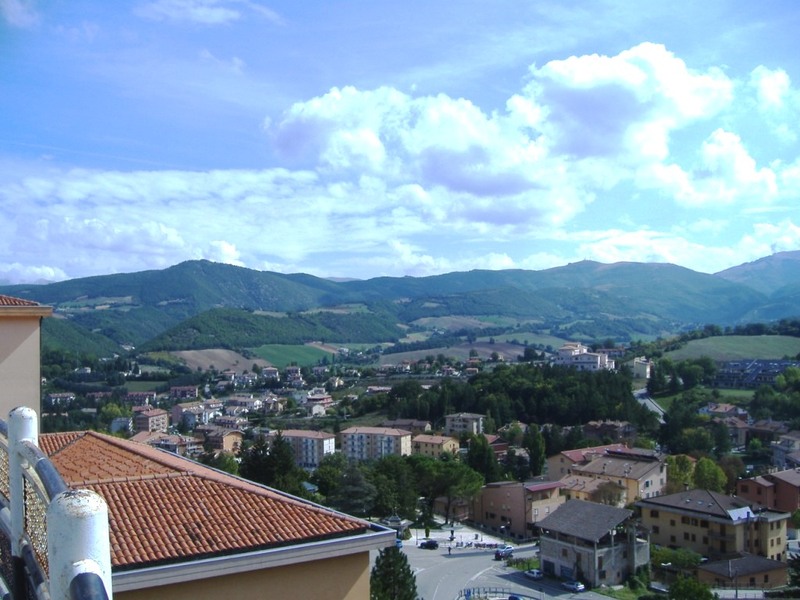 It is home to the University of Camerino founded in the Middle Ages. I visited this great little town many times as I was staying in Pievebovliana which was only about 20 mins drive away. San Gimignano – I love hilltop towns and this is by far one of my favourites. Great restaurants, great views and great shops. 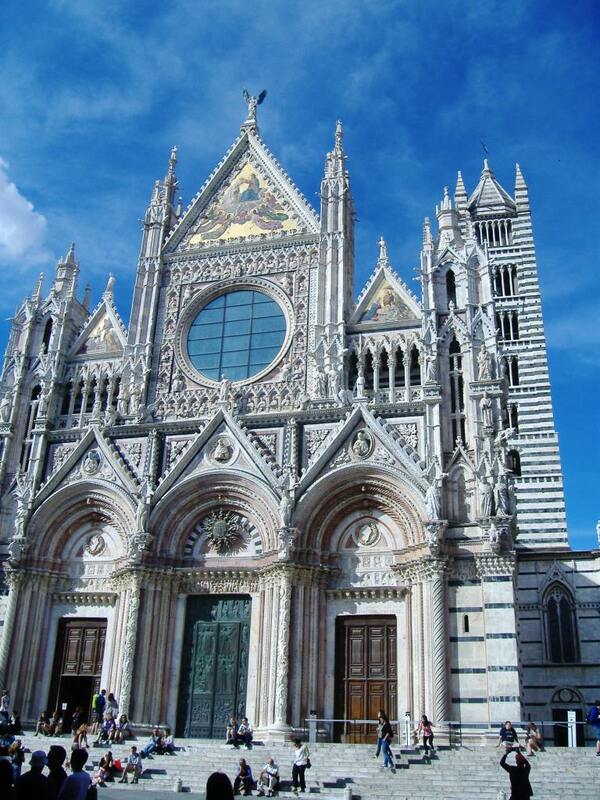 Siena – in Tuscany is famous for its Palio, a horse race held twice a year. Milan – one of the most famous fashion cities in the world. 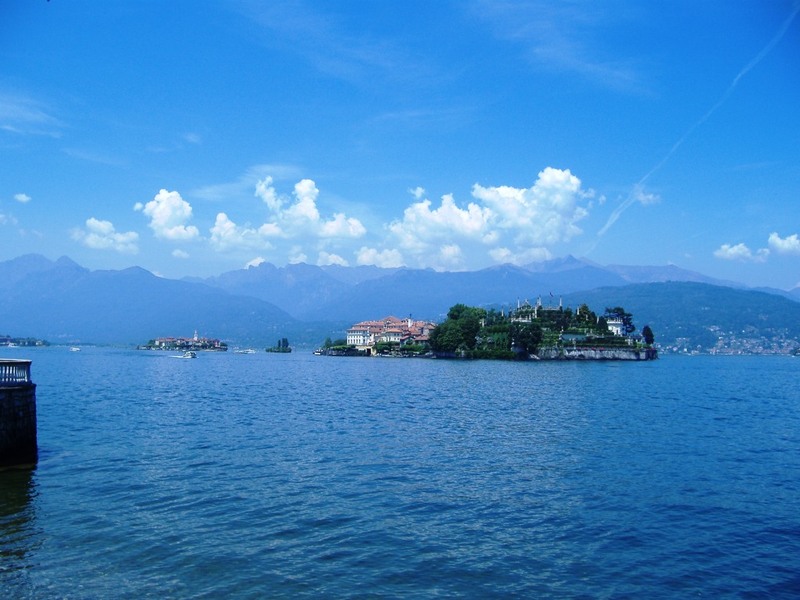 Lago Maggiore is a large lake located on the south side of the Alps in northern Italy on the border of Switzerland. 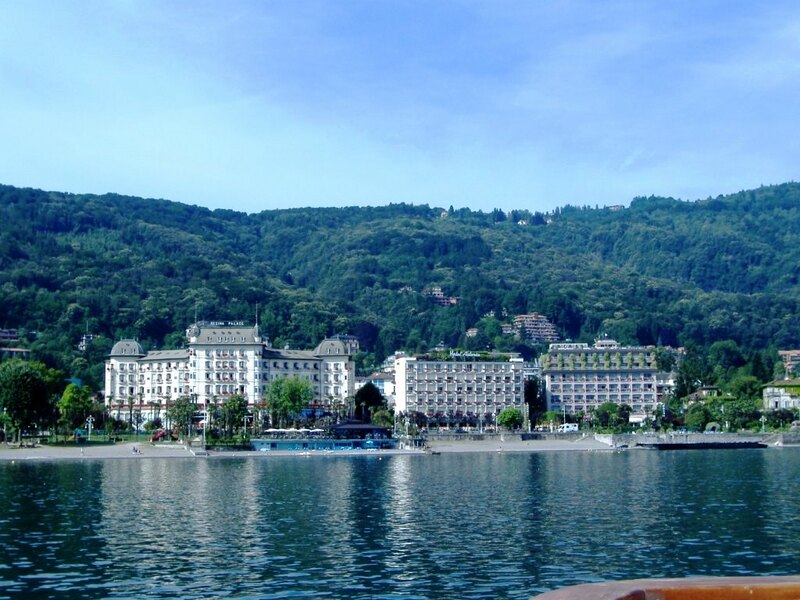 Stresa – on the shores of Lake Maggiore. After spending 8 days in this beautiful part of the world I ended up with hundreds of gorgeous photos of its spectacular views. 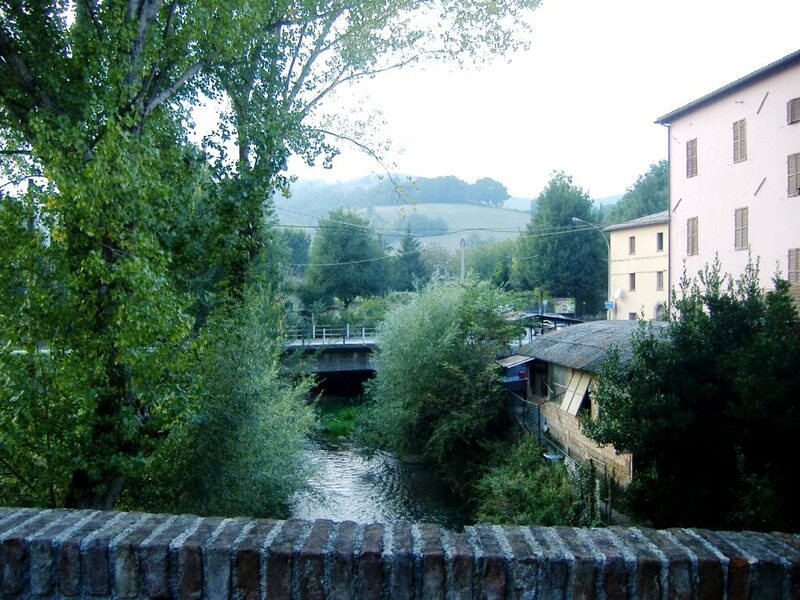 Bagni di Lucca – I rented an apartment and stayed here for a month. Every day was a day of new discoveries, meeting new people, visiting many of the towns and villages in the area and “living” the local life. This was definitely living the dream. Barga – This medieval hilltop town is just a short drive from Bagni di Lucca. Another place that took my breath away. Cinque Terre – The 5 lands. This is a definite must when visiting Italy. I have stayed here several times and enjoy every minute of it every time. It is very easy to access by train from almost anywhere in Italy. 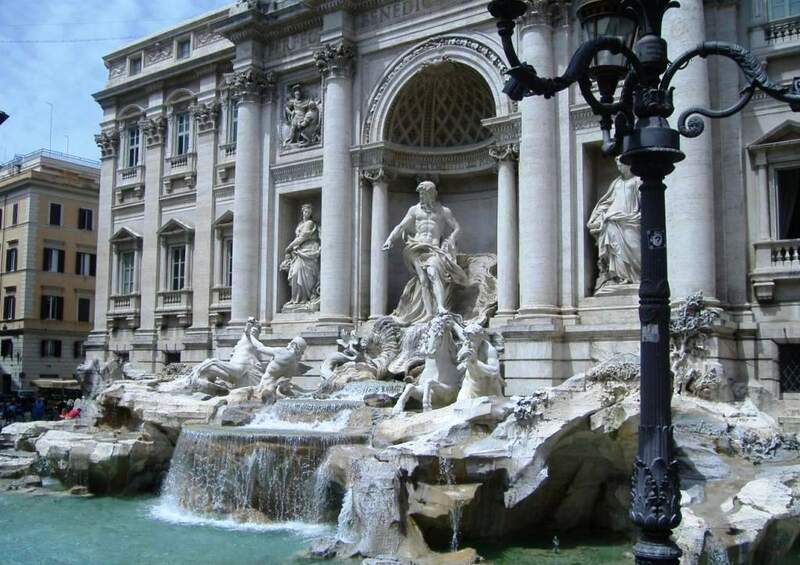 Trevi Fountain – in Rome is one of the most famous fountains in the world. It is a popular tourist attraction and I might add, almost impossible to take a photograph free of people. If I have missed one of your favourites, please let me know and I will add it next time. Love your list of gorgeous places! 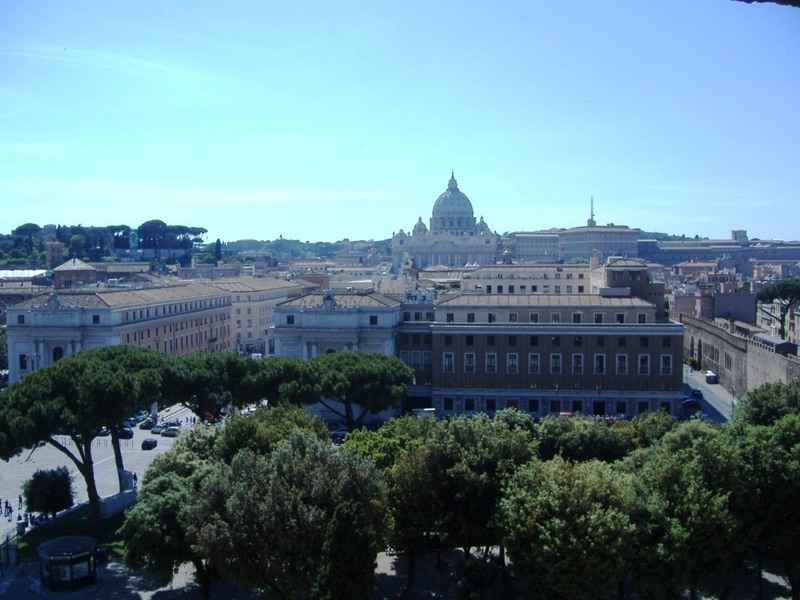 You have seen a lot of Italy’s treasures….gorgeous! 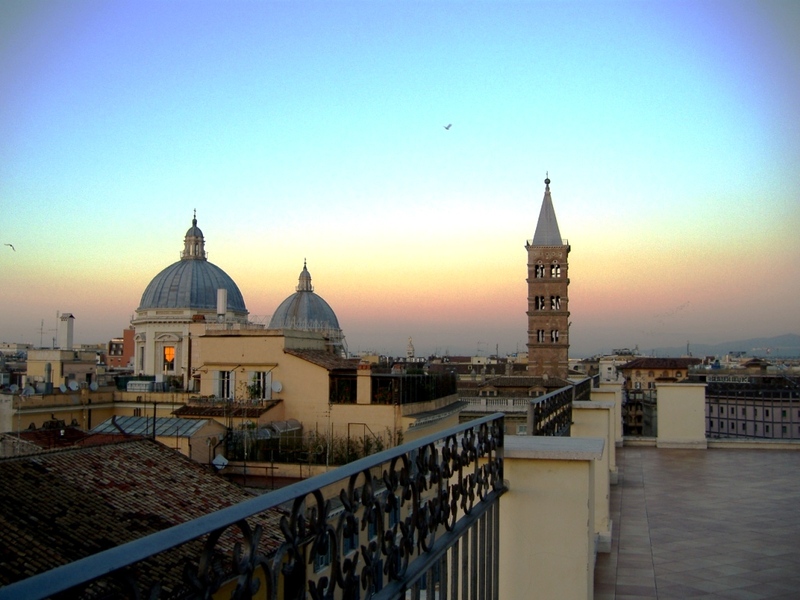 beautiful pictures of a beautiful paese! Thanks for sharing with us all Lyn! And there’s still more places in Italy for you to discover and add to your list. Thanks for the beautiful pictures! Lyn, thanks for whetting my appetite. We’ll be there for the two weeks around Easter to await the primavera. M’rallegro! E a te una buona giornata! Hi Lyn! As I am already in Italy I do not want to take a plane right now but the car!! 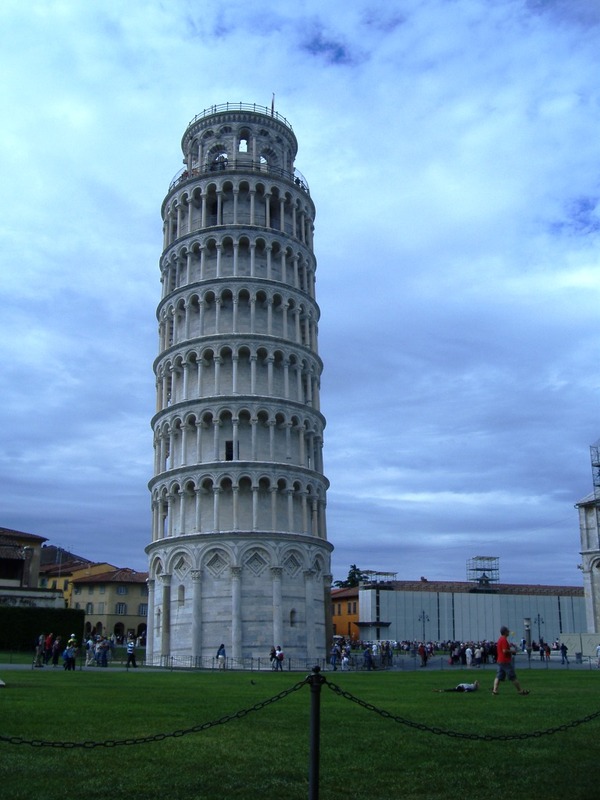 ;) I visited Rome, Florence, Milan and Siena until now and I loved these places, too! The next spots that are amongst the first ones on my list are definitely Amalfi Coast and “la Puglia” to visit i trulli – your photos confirm that these are fantastic places!! 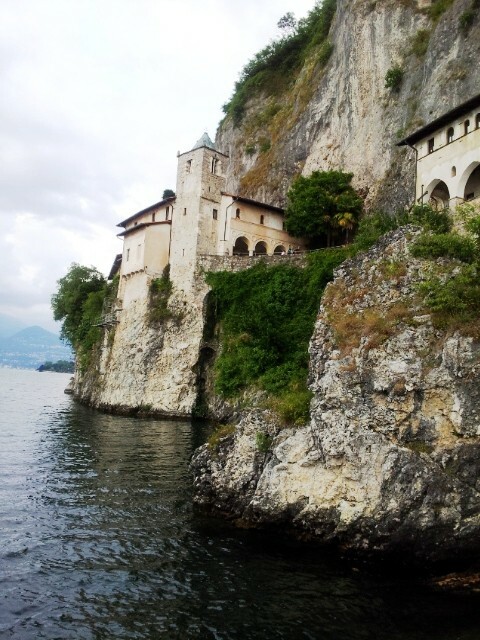 I have been to quite a few of these places, and love them I am thinking of heading up to Lake Maggiore this trip. It looks fabulous. Thanks Deb. 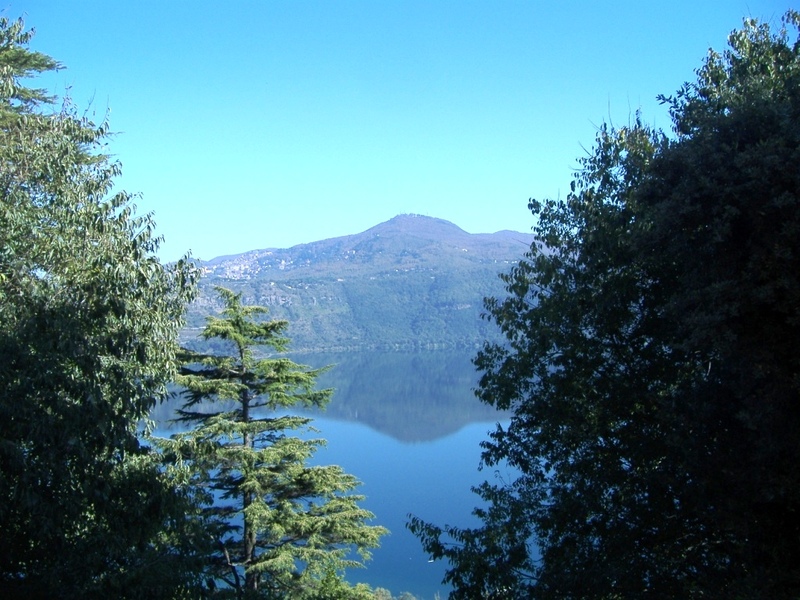 I will be interested to hear how you like Lago Maggiore. I imagine that you will enjoy. Thanks for taking me back! Great post. Beautiful! Although I live here I really haven’t travelled enough. I’d love to go back to the Amalfi coast – so stunning. I’ve been to Matera a few times for a literature festival, have you been there? It’s quite unforgettable and I think you’d love it! Great glimpses of your favourite places – so hope we get a chance to visit more on your list. Only sad Naples wasn’t there … will have to work out a way to tempt you in to have a proper look. There are so many surprises. Wow Lyn, you should get a job with the Italian tourist bureau! Fantastic photos from all parts of Italy.Bellisimo!! Lovely photos of these stunning photos. Thanks.